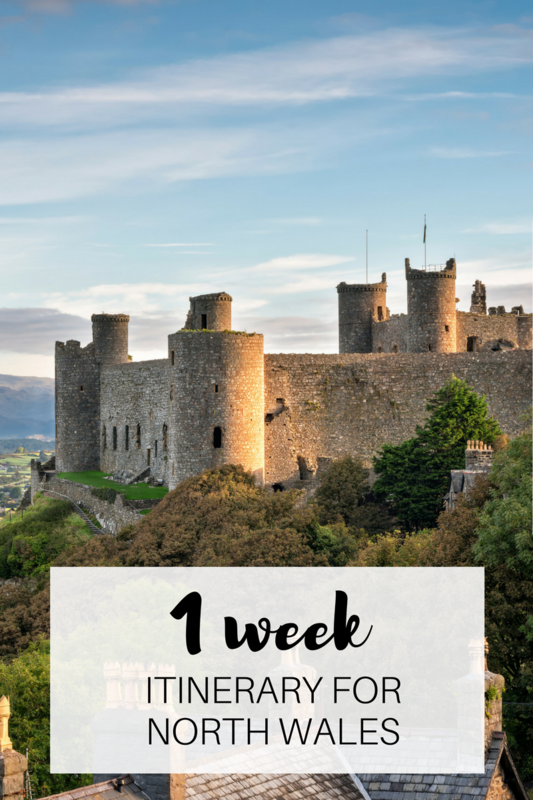 If you’re lucky enough to have 1 week in North Wales then this is the perfect itinerary. There’s so much to see and do in North Wales and this itinerary will take you from gorgeous golden beaches to historical towns to one of the quirkiest villages in the world. You’ll see the summit of the county’s highest mountain, have a thrill-seeking adventure day and finish it all off my strolling through pretty villages with river-side pubs, tea shops and ice cream parlours. I know I’m biased because I live in North Wales but I truly think this is one of the most beautiful and diverse areas of the UK. 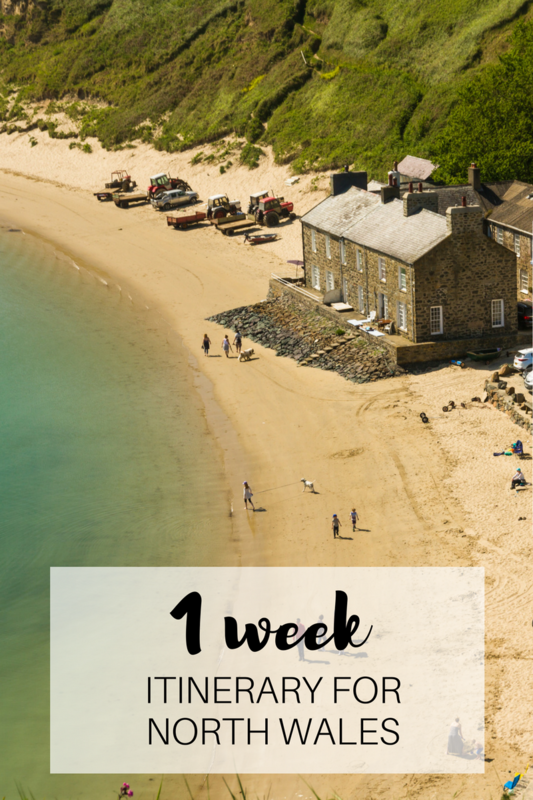 Here goes…the perfect one week itinerary to explore the best of North Wales. If you’re visiting North Wales for a week then I 100% recommend travelling by car. You’ll have the freedom and flexibility to do what you like and this itinerary would be difficult using public transport. 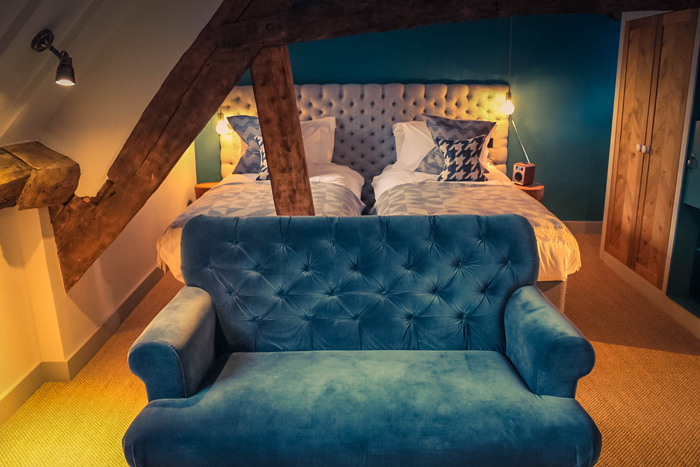 I haven’t included accommodation options for this itinerary because there are so many options – whether you want luxury hotels, budget hotels, cosy B&Bs, huge cottages or camping or glamping options. 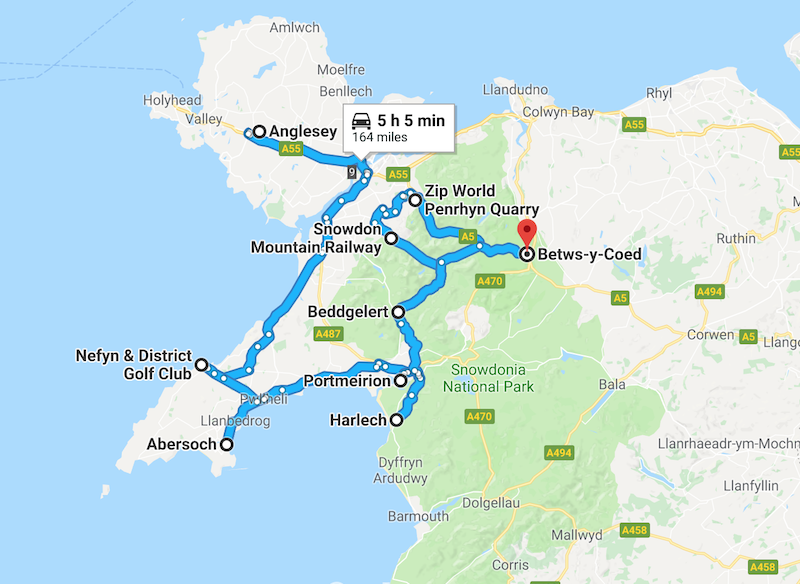 If you’d rather spend your week in the same accommodation for the whole week then I’d recommend staying in the centre of Snowdonia National Park and then you’ll need to drive for about an hour each way to get to most places I’ve mentioned. The drives around North Wales are absolutely stunning so, if you don’t mind driving, this is probably the easiest option. Another option would be to move to a new hotel each day or every few days which would be much more adventurous and exciting! Start your North Wales itinerary on the beautiful island of Anglesey on the northwest coast of Wales. Anglesey is Wales’ largest island and once you cross the bridge you feel the pace of life slow down. This isn’t quite ‘island time’ like you get on the tiny islands around the UK coastline but it’s slow enough to feel the difference! The medieval town of Beaumaris is one of my favourite places in Anglesey and Trearddur Bay is the place to be on a sunny day. You can’t miss a trip to South Stack Lighthouse and The Lobster Pot is a winner for fresh seafood. 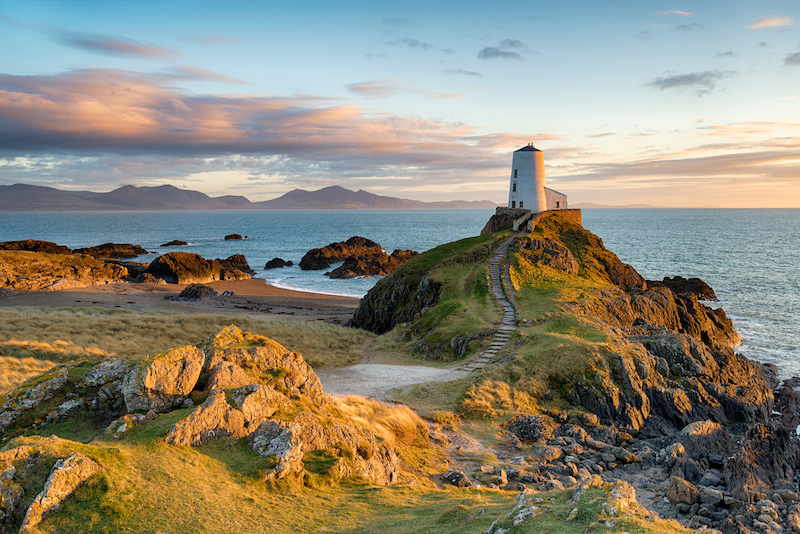 If you have time, I also recommend a visit to Newborough Forest and Llanddwyn Beach. Read more: A luxury glamping trip with Wonderfully Wild, Anglesey – Check this out for lots of pretty pictures of beautiful Beaumaris. 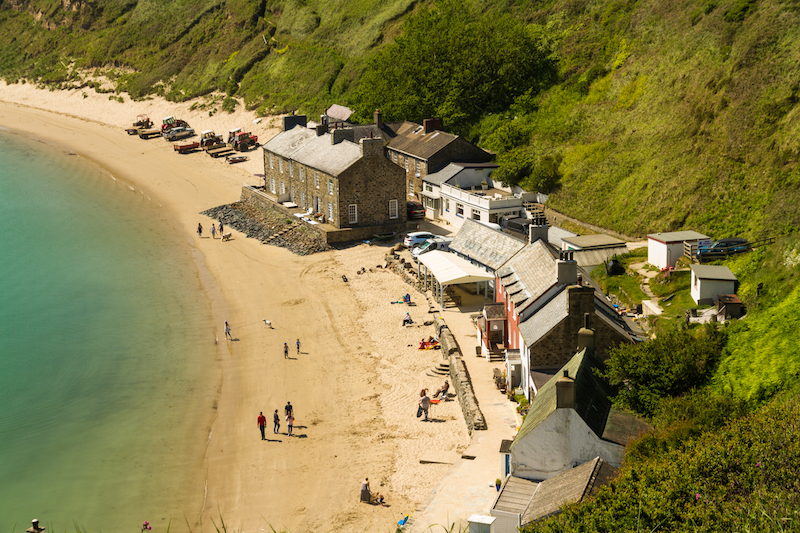 This tiny town of Porthdinllaen (close to Nefyn) made its way onto the map thanks to the Ty Coch Inn, a pub named as one of the best beach bars in the world. You need to park at the Nefyn Golf Club and then walk across the golf course to reach the pub but it’s well worth the hike to enjoy a cold beer on a beautiful beach. Your next stop is the bustling town of Abersoch which has boomed in recent years. The beach is stunning and the town is full of great restaurants and shops. But beware, it does get very busy in the summer months and driving through the town is a nightmare. If you’d rather a much quieter seaside village then I’d recommend Aberdaron which is a bit further but much quieter. 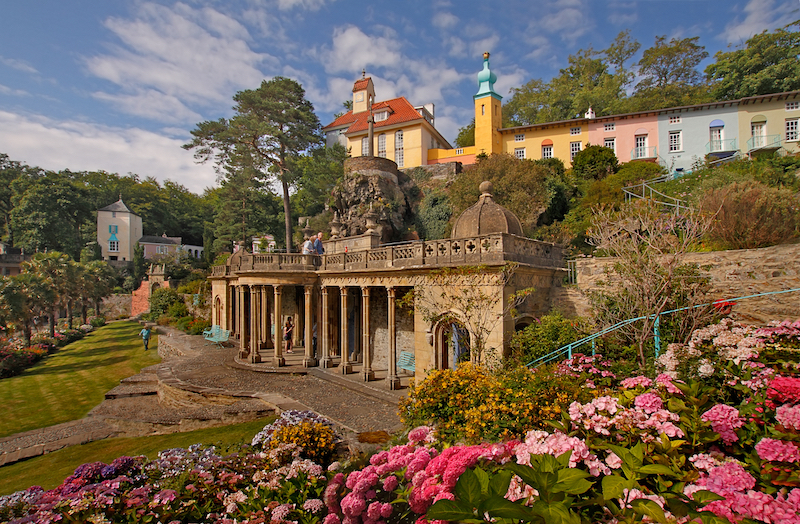 When you step into Portmeirion you’ll wonder if you’ve stepped into a fairy tale. This tourist village is like a movie set and was designed in the style of an Italian village. It’s a magical place to visit with colourful buildings with ornate details and lovely walks through the forest and around the estuary. There are shops and places to eat so you can make it a full day out. 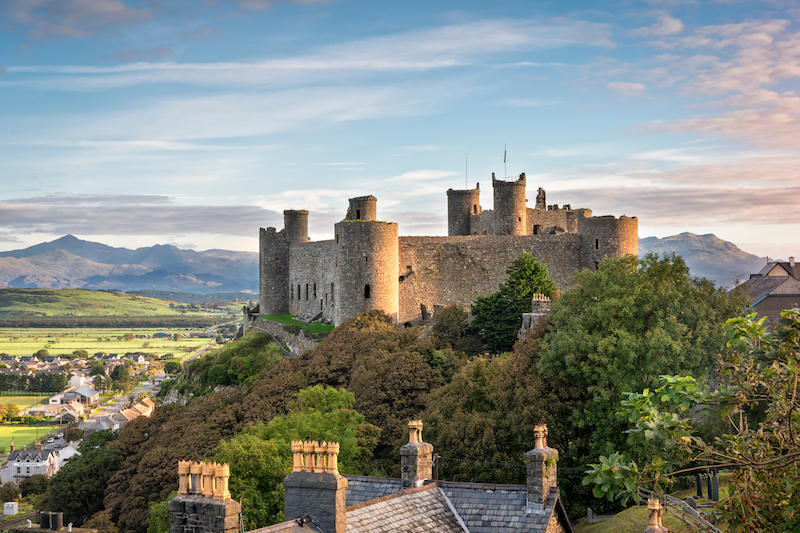 For your fill of history and culture, visit the pretty town of Harlech where an ancient castle dominates the town and looks out over a long, golden beach. The town is filled with beautiful, wonky, stone buildings and there are plenty of places to eat. You can’t visit North Wales without a drive through Snowdonia and a trip to the summit of Snowdon! If you plan to hike to the summit then you’ll need to give yourself pretty much all day. 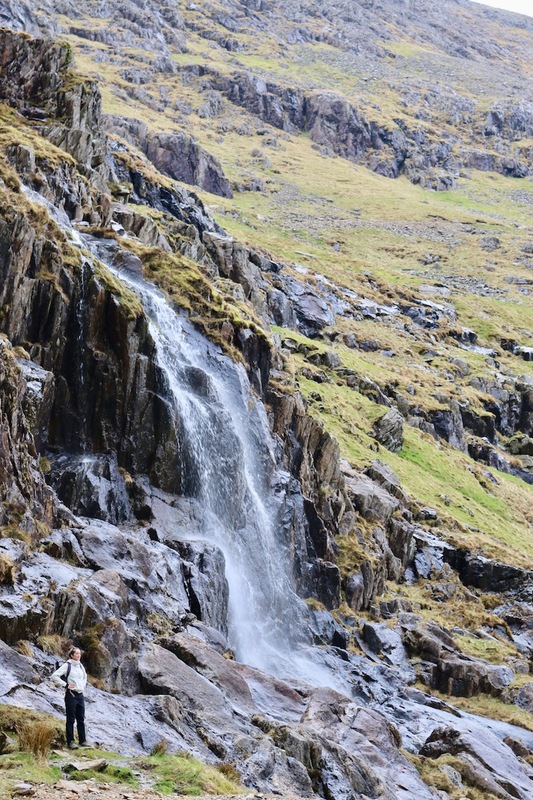 If you don’t fancy a big walk then it’s also nice to take a stroll along the Pyg Track and walk as far as you can. The views are beautiful even after 20 minutes of gentle walking with very little incline. You can also take the Snowdon Mountain Railway which currently travels ¾ of the way up Snowdon but will soon go all the way to the summit. It isn’t open in the winter and is weather permitting. ZipWorld is home to some of North Wales’ best adventure activities. They’re across three locations but they’re all fairly close to each other and there’s something for every member of the family. For the extreme adventurer, try Velocity, the fastest zipline in the world and the longest in Europe. 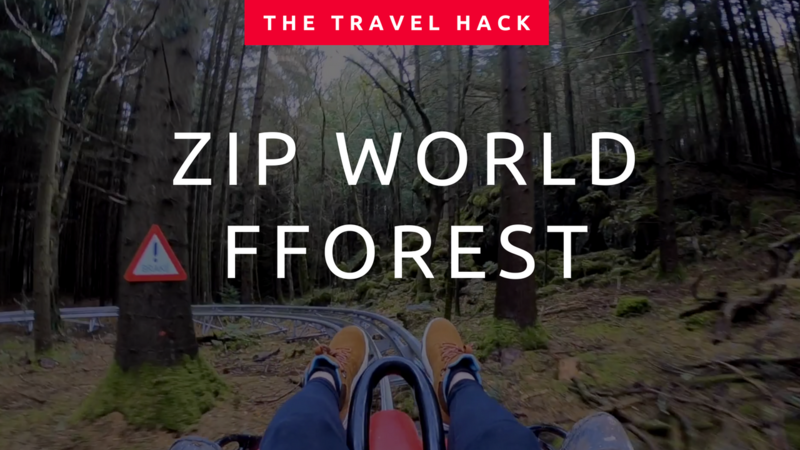 Zip Safari is a gentler version through the treetops and Tree Hoppers is perfect for little ones. The Fforest Coaster is so much fun and Bounce Below is an underground trampoline park in an old slate cavern. Finish this perfect week in North Wales by visiting two of the area’s prettiest villages. 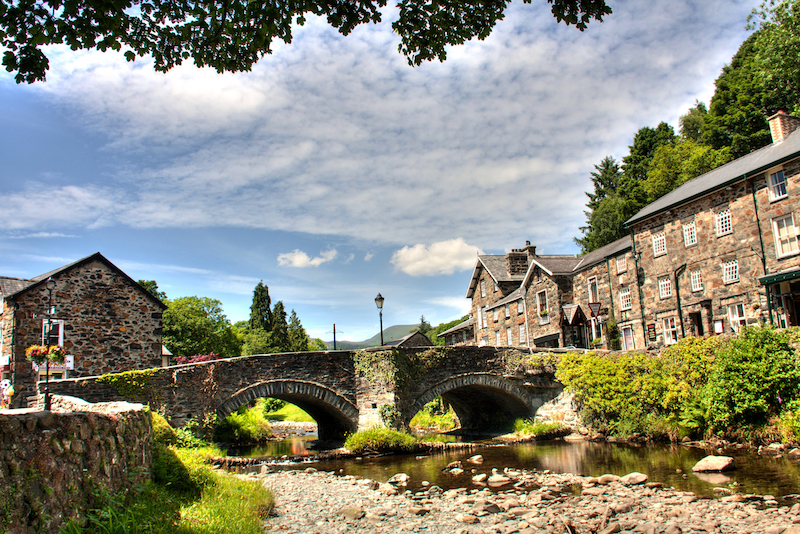 Beddgelert, a pretty little village in Snowdonia, is best known for the legend of Beddgelert, the faithful dog of the medieval Welsh Prince Llewelyn the Great. You can visit Beddgelert’s grave and read all about the legend. Take a long walk along the river and work up an appetite for a pub lunch by the river. 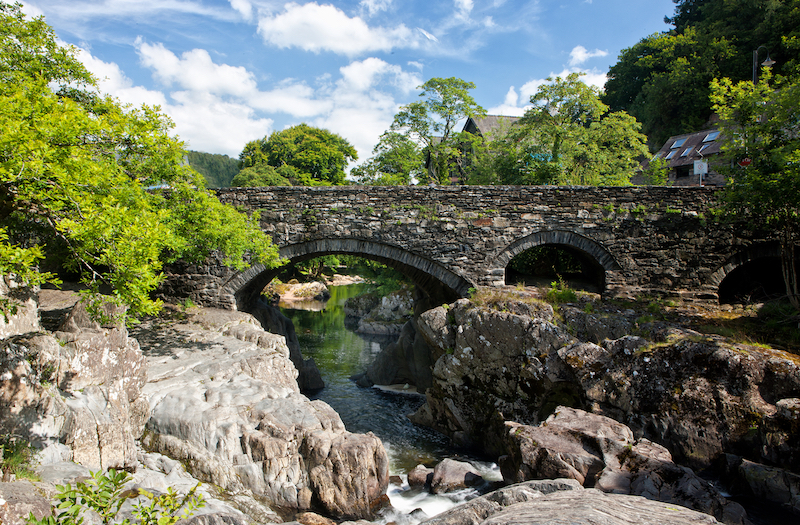 Betws-y-Coed in Conwy is the definition of charming. It’s so pretty and there are lots of outdoorsy shops and galleries to keep you busy. Visit Swallow Falls Waterfall and Fairy Glen which is just the prettiest, most magical spot you can imagine! There you have it, the perfect 7 day itinerary for North Wales! 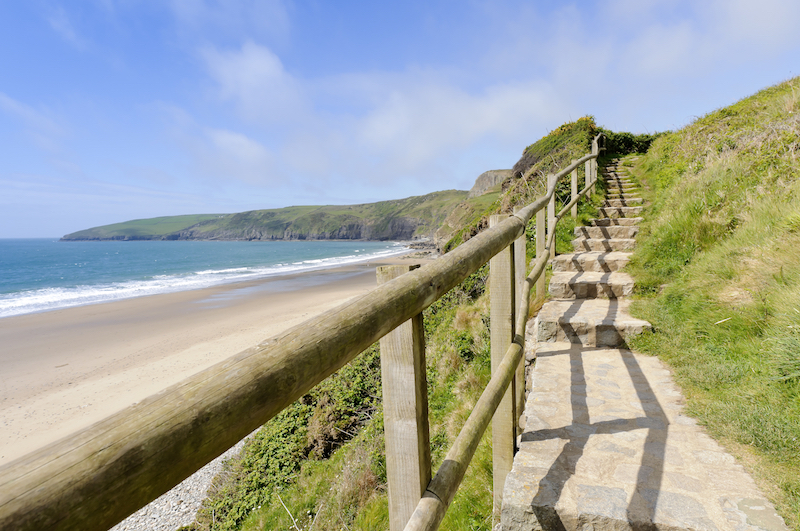 Pin this for later and save it for your Welsh adventure! Thank you do much for this guide! 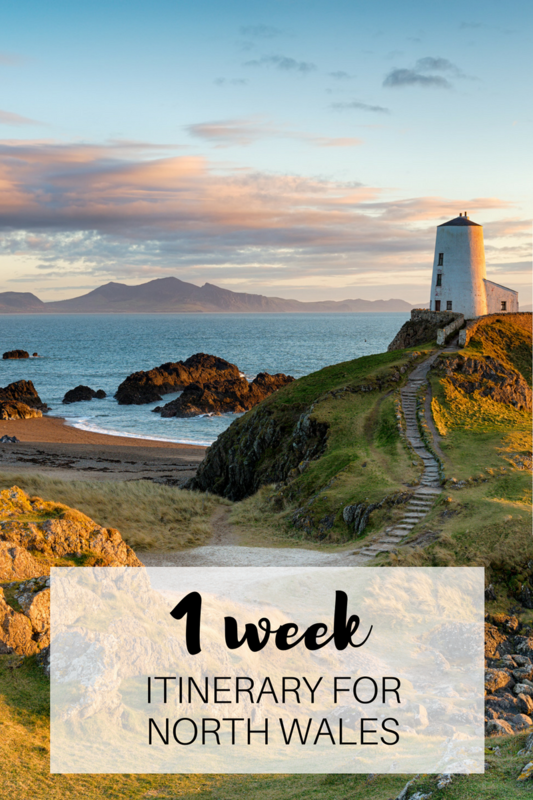 I really want to explore more of Wales and was considering spending a week in Snowdonia at some point in late Spring/early Summer this year so this is definitely the perfect post to start my planning from.